Top Four Greens For Meal Prep Salads! The secret to creating a delicious salad is to carefully pick the correct lettuce for your ingredients to rest on. Pick a soft lettuce and your salad will end up a wilted mess, or an aggressive tough leaf and you will be chewing on your salad for days! In meal prep, the type of lettuce you choose for your salad is even more important! To ensure you have a delicious crisp salad by the end of the week, choosing the right lettuce is super important. 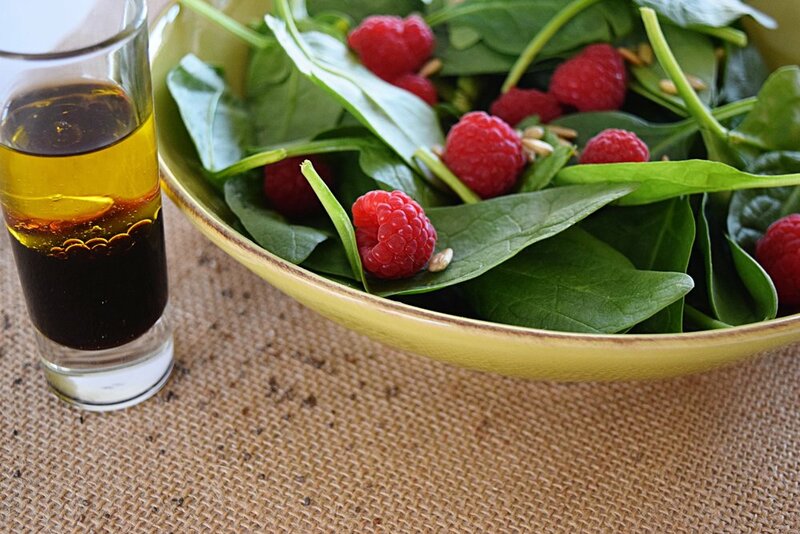 If you store your salad dressing on the side and choose the right greens, you can be sure you will have a delicious salad to enjoy all week. To help you navigate all the lovely lettuce options available in the produce section, I have listed my top four greens for meal prep!! The classic go to for a crunchy salad, romaine is always high on my list! It’s an excellent filler and a neutral base for your toppings. It lasts well in the fridge and doesn’t break down quickly. Due to it’s low key flavor, I love to do a 50/50 blend with arugula or spinach. Have you tried romaine grilled? It’s excellent when the whole head is lightly grilled and topped with dressing! The gold standard for healthy greens, kale is a popular choice! There are many different kinds but my favorite is Lacinato kale, also known as Dinosaur kale. It has tall narrow leaves and a wrinkly texture. I like it because it has a pleasant chewy yet soft texture and a sweet fresh flavor. It holds up well in the fridge and adds texture and a mild taste to salads. It is also wonderful in soups! My other favorite is curly kale. This variety is what most people think of when kale is mentioned. It is mild and sweet but very chewy! I like to use this kale in a salad that has a vinegar dressing, the vinegar will help break down the kale and soften it! Spicy and peppery, arugula is my go to when I need to add flavor to a dish! Blend it with spinach for wonderful salad base. Arugula holds up well in the fridge, but wilts quickly in heat. If you are using it as a side salad for a frittata or any hot dish, make sure to fully cool the hot item before storing it with the arugula salad when meal prepping! 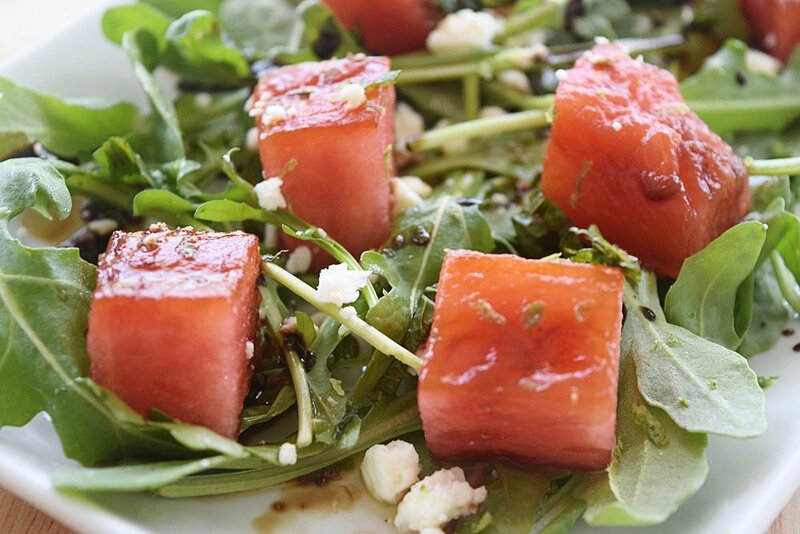 Definitely store dressing on the side with your arugula to make sure it stays nice and crisp. Arugula is delicious in scrambled eggs or under a fried egg! Soft and buttery, spinach is a stick to your ribs choice! Packed full of nutrients, spinach is a power packed option for your salad. It lasts really well in the fridge without dressing. Spinach is my “use it in everything” green. Smoothies, soups, salads, egg scrambles, ice cream…well maybe that last one was taking it to far! Spinach is wonderful as a stand alone or a blend with any of the other greens I have mentioned. Now that you know the best greens to use with your meal prep, have fun mixing and matching the flavors and textures! !